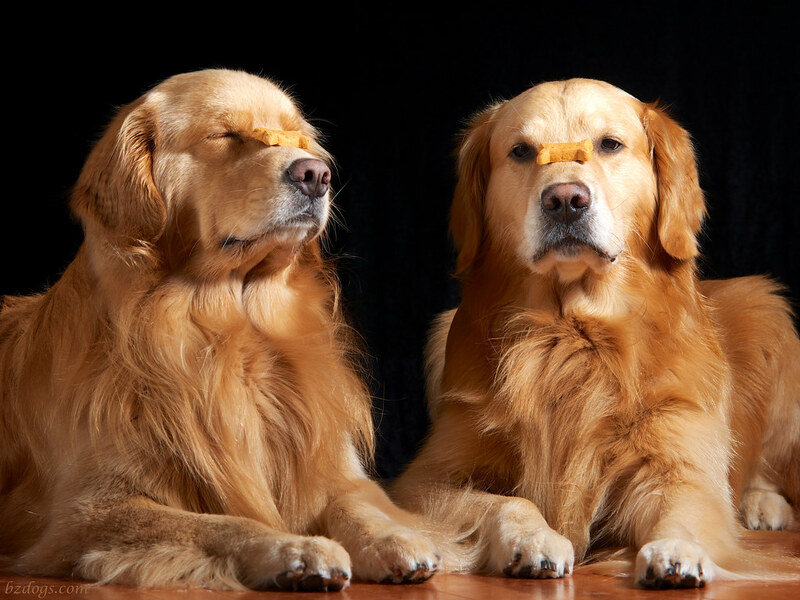 Two Dogs - Four Cookies Each! 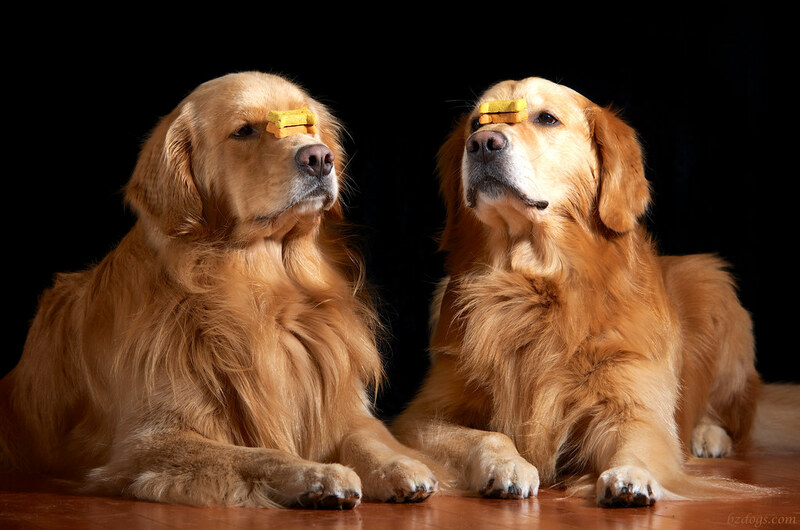 This trick is a Henry (left) specialty, as his muzzle/head proportions work out better for Cookie balancing. Henry has the patience of a Saint and will sit there balancing away for as long as I need him to, while Zachary is eager to move on to the next task. That said, Zachary kept up with his nephew tonight in the Cookie Count, although I was careful to always stack Henry's Cookies first. And yes, there is a human element to this trick. 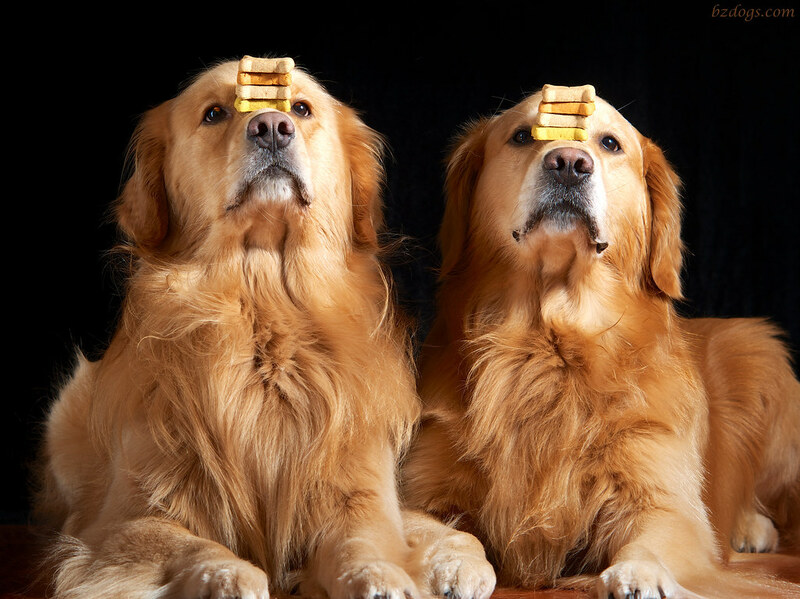 Finding nice flat Cookies to start with is a must, as is making sure the boys' heads are in a good position before placing the Cookies. 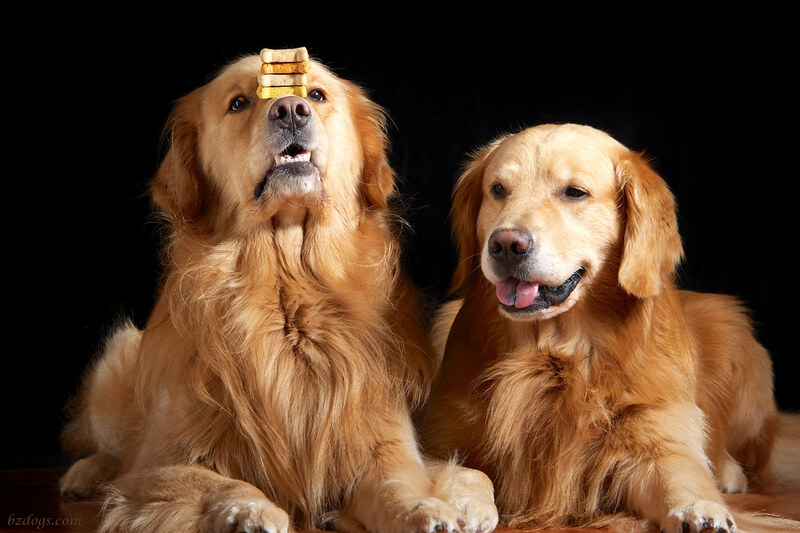 Henry's muzzle was made to hold Cookies, but Zachary's takes a bit of adjusting to get things balanced. Daily Dog Challenge "656. Canine Talent"
Our Daily Challenge - August 17, 2013 - "Skill"
"Are we good, or what?" 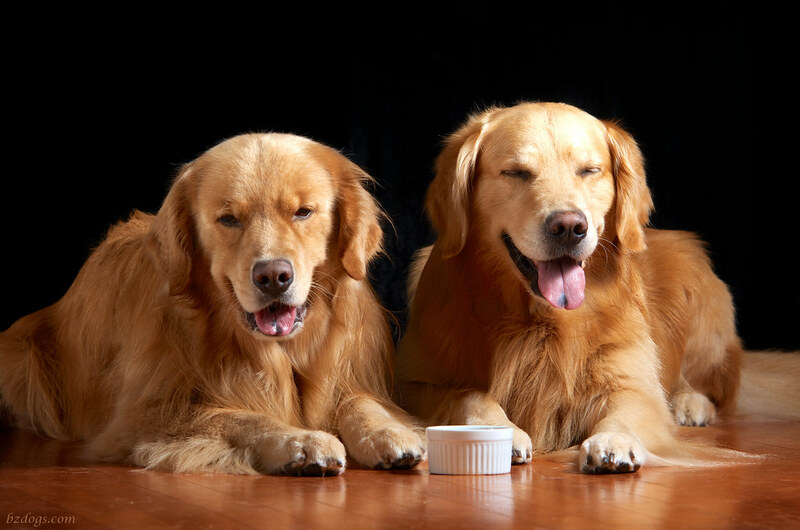 yes you are good..very good!!! We agree so good. No way would we do that without drooling. Have a serene Sunday. I'm trying to get back in the swing of DDC after a long trip. I'll be back consistently soon!